Imagine in just three days… becoming an accidental translator in Spanish. Learn how to speak Spanish in just three days. Learn Super Spanish. 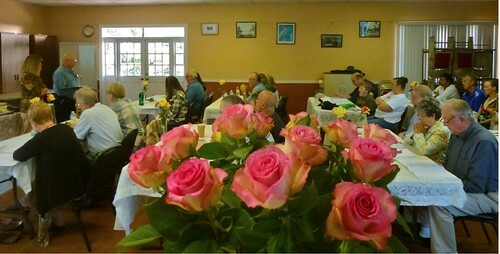 Here is a photo taken by a delegate at a Super Spanish course in Mt. Dora, Florida. Mt. 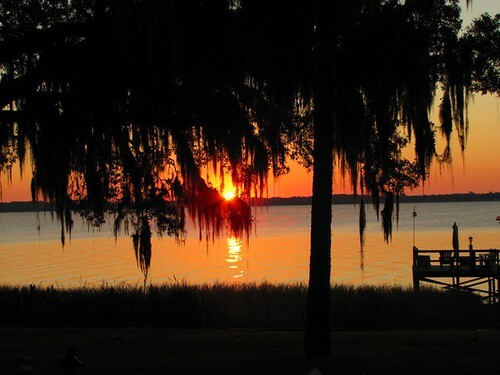 Dora is in Lake County which has more than 1,000 lakes and rivers and great scenic beauty. Plus it has sunshine! The days during the seminar were perfect. Yet it was the results in learning Spanish that everyone really enjoyed. We even created the Accidental Translator. 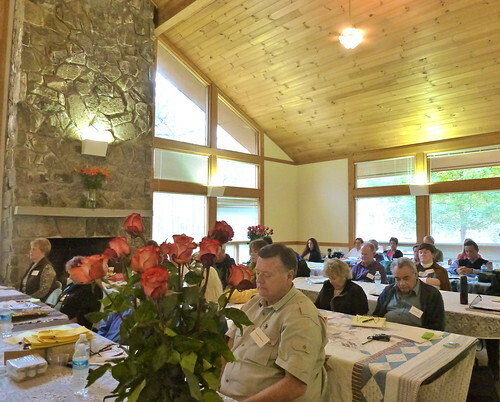 This course was what I call a quantum shift seminar… one that points Merri and me in a more focused direction…. maybe many of the delegates as well. Our promise is that attendees will be able to communicate in Spanish in just three days. That is a pretty bold promise and many doubt that this is possible. Even our good friend Ted Tidwell (who makes Bio Wash) who has known us for over 15 years questioned that this could be true. Ted is a a highly successful, hard nosed businessman. He had a big meeting in Mexico coming up and needed Spanish. Before the course, he wrote: Hi Gary and Merri- I am interested in attending the upcoming Spanish class but my time is so limited that I must use it wisely. Obviously no one is going to learn a language in four days. Here is what he wrote, after the course: Hi Gary & Merri – First, Merri, thanks for the great home made chili dinner. It was some of the best I have ever tasted. Also, thanks for the Spanish course. Merri’s technique is truly a breakthrough in learning. I believe I learned more Spanish in three days than I learned in four weeks in a previously attended Costa Rica language school. The Costa Rica school taught a very limited number of memorized words and phrases. Ted. 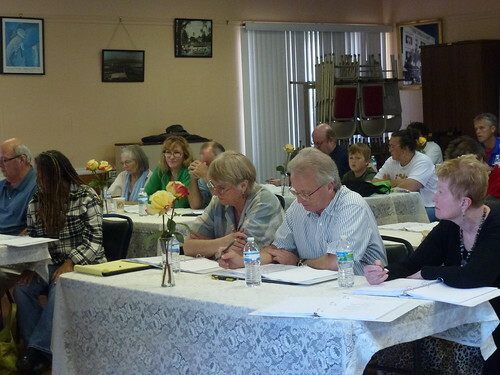 Here are what other delegates wrote about the November 2010 Super Thinking + Spanish seminar. Merri’s approach exposed us to a broad variety of works and the technique needed to expand the language. Again, Thanks for the experience. One attendee wrote: Thank you very much Gary! And I just wanted to say thank you and Merri so much for everything during the seminar. You guys are indeed a shining example of having a business that truly serves others. And thanks for the extra time spent and good things taught to me personally. I have begun to implement them already and will continue to apply them. And you might be interested that waiting for my flight home I ended up sitting next to a woman from Quito and could understand some of what she said in a cell phone conversation. We talked a little and she said that I should visit Ecuador! Thank you again for your real graciousness and acceptance! I will also write to Merri and thank her as well. And I wish that I could do something for you two! Listening to the two of you during our time together has suddenly got me to thinking, and although some of the ideas still seem foreign to me, I am at a point in my life now where I can say, “anything is possible” and I am now willing to embrace and allow myself to experience the world of possibility and let it take me in directions I may have in the past resisted. I really don’t know where all this is going to lead me but I am now willing to explore, develop and grow. Another: Hello Gary, Muchas gracias para la informacion! I had a wonderful time at the Super Learning + Spanish weekend!… excelente! One even explained how after our three day course they ended up as the accidental translator. Gary, I have sent Merri a couple of messages, and a story of Mike being able to translate yesterday for a Spanish person who couldn’t understand what a man was trying to tell him! It was great seeing you and Merri again and we are looking forward to returning to Mt. Dora next year. I would greatly appreciate your continuing to seek the info for the visio-therapy doctor in Knoxville if you have the time. Thanks also for the contact info for Susan Rotman. Merri telefono en amiga con numero de doctor de Knoxville. Su construcion de palabras de Espanol es excelente. I’ll bet you can read every bit of that. Finally another…. communicated entirely in Spanish…. after just our three day Super Thinking + Spanish seminar. Buenas dias nuestra maestra perfectamente, Merri! Muchas gracias por la lista espanol. Claro, David y yo aprendemous mucho espanol el fine de semana pasada. 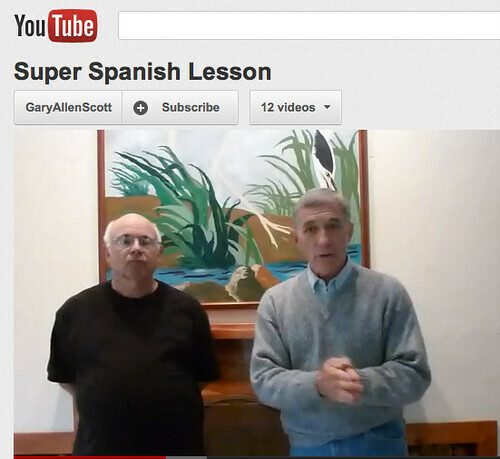 Gary y usted nos hacen espanol muy facil aprender. Es importante continuar a practicar espanol cada dia. Gracias tambien! The results above are not surprising because the techniques used in our Super Spanish course tap into the realms of quantum physics and new discoveries about how to absorb, retain, recall and transport information are being made in this field every day. For example an article at www.physorg.com shows how scientists have now learned how to teleport information. The article says: Scientists in China have succeeded in teleporting information between photons further than ever before. They transported quantum information over a free space distance of 16 km (10 miles), much further than the few hundred meters previously achieved, which brings us closer to transmitting information over long distances without the need for a traditional signal.Read the entire article teleportation article below). We are incorporating these scientific approaches to learning in each of our 2011 seminar courses.